Gentle narration tells the story while beautiful music inspires the dance. Perfect for dance class, dance recitals or dance play. Add a fairies' tea and craft for birthday parties or summer camp! 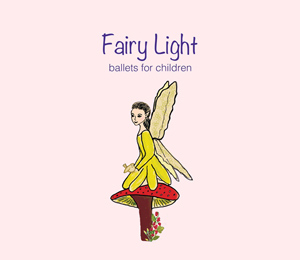 Fairy Light is $12.00 SALE $10.00 for the Single CD. .